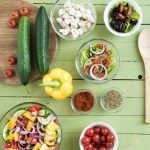 Every few years there is the latest diet that hits the news – the Slim Fast Plan, the Atkins diet, vegetarian diets, the Mediterranean diet to name but a few. One of the more recent diets to gain popularity is the Paleo diet. 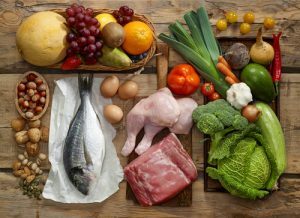 In this article we’ll look at the Paleo diet – what it is, why it’s popular and how to follow it. There’s a lot of conflicting explanations about the paleo diet, mostly because people lack a true understanding of what the diet is. Many people label it as a low carb diet, when that’s not strictly true. The Paleo diet fundamentally aims to take us back to eating how our ancient ancestors would have done. Essentially, that means no processed foods, no grains, no pasteurised dairy products, no sugars and very little starch. Followed to the letter, it also rules out foods such as potatoes and legumes such as peanuts as in their modern form, they aren’t as digestible as they should be and can cause gut irritation. 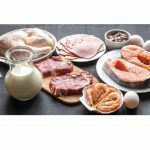 Paleo isn’t necessarily a low carb diet, despite a lot of people following a high protein, high fat, low carb version of it. You can still eat a lot of carbs as long as the carbs are paleo friendly. There are a couple of reasons why paleo is so popular…. It makes people feel great…. Being strict paleo forces you to cut out processed foods from your diet. This alone will usually result in you feeling better generally, but a lot of paleo fans report that health issues they’ve had for years have cleared up when following a paleo diet. Many of us have a sensitivity to certain foods that we may have not been aware of and when we remove these from our diets, we automatically feel better. Gluten and dairy in particular are known to cause health issues in a number of people, so those of us with particular food sensitivities often respond really well to following a paleo diet. You still get to eat well…. 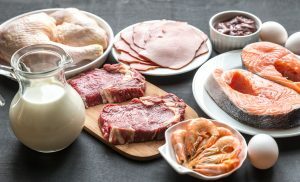 OK, so if you’re strict paleo you can’t eat any sweets or cake, but being paleo still allows you to eat pretty huge steaks, quality bacon, eggs, vegetables etc. The stricter you are, the more food restrictions you’ll have but a lot of paleo fans say that’s not an issue because the foods you are left with are some of the tastiest there are! First of all, look at the kind of lifestyle you have and what your energy needs are. If you’re an active guy, you won’t thrive on a low-carb paleo diet – you’d have to go higher carbs but be selective of the carbs you eat. Sweet potatoes, squashes, pumpkins, parsnips etc will be your friend. If you’re less active, you may be able to go high protein, high fat, low carb paleo. This means your diet will be based around a lot of protein, higher fat sources but with little/no starches such as sweet potatoes, yams etc. It will still contain a lot of vegetables, but very little fruit. You’ll benefit from following one of the many books on the subject – look for work by Robb Wolf and Loren Cordain – they’re two of the leaders in the paleo movement and have written great books on the subject. How closely you follow the diet will determine your options. If you go full paleo, you’ll have to be strict on the food sourcing, meaning you’ll only eat organic, ideally local, your meat will be grass-fed and your fish line-caught. It’s not an easy diet to follow, but fans of it say the results are worth the effort. The paleo diet is a world away from what most of us are used to and it will take a huge lifestyle change in order to follow it properly. All of the processed meats and fish will have to be gone. Your days of sweets and chocolate are over and it’s not an especially sociable diet when followed to the letter – you’ll only be eating in organic places! That said, if you’re willing to not worry about the food sourcing, you’ll still be able to follow a version of the paleo diet pretty easily in most restaurants. At first you’ll probably struggle with the diet – a lot of people report ‘carb flu’, where the withdrawal of sugar from your diet leaves you feeling pretty dreadful, with headaches a common complaint. Thankfully these only last a day or two and you’ll feel fine afterwards. Expect to feel pretty great. You’ll probably lose a lot of weight quickly, but be prepared you’ll have to undergo a radical dietary change. If you can stick with it, chances are you’ll look and feel better really quite soon!